Welcome to Friday Finds! Can you guys believe it's August already?! My husband and I have three kids about to head back to school in a few weeks, and before I know it, I'll be trying to figure out what to be for Halloween. First however, comes the big rush of Fall Fashion and Fall Beauty, which of course I love! I'm aching for the big Fall Fashion issues, and I can't wait to get some new makeup colors for the upcoming season! While you're updating your makeup for the new season, you should think about making the switch to more natural and organic options. When Krysta Lewis, the creator and CEO of Aisling Organic Cosmetics discovered that toxins in common cosmetic products were making her sick, and have been linked to several major health conditions in general, she began researching how to create quality cosmetics without all of the harmful chemicals. The result was Aisling Organics Cosmetics, a high-performing (and very chic and modern) organic beauty brand that has been hailed as the MAC of the organic makeup world. Her vision for Aisling Organics is to inspire every person to only be putting the purest ingredients on their skin in order to promote optimal health. From their foundation and concealer to a setting powder and cheek tints, to a wide variety of eye makeup and lip products, they carry everything you need to start the transition over to clean makeup. As someone who struggles with skin allergies and breakouts, I'd personally start with their Eco-Luxe organic Liquid Foundation, which is made with aloe vera to soothe the skin; chamomile and lavender to calm down redness; and rosemary, thyme, and oregano to keep away bacteria and clear up acne. This unique formula is perfect for sensitive skin and doesn’t sit in creases, doesn't look caked on, and won't clog pores. Not to mention, it smells amazing due to the cocoa and vanilla infused into every bottle! If you aren't sure which color you need, you can try their Foundation Sample Kit. For some color, try their highly-pigmented organic eyeshadow, which comes in nine different shades. There are several shimmer shades and smokey colors that are perfect for Fall! The Aisling Organics popular Liquid Lipstick comes in four feminine and wearable shades and has a hydrating formula with a matte finish. The build-able coverage is long lasting with bold pigments and has been formulated with antioxidants and soothing calendula. Everything at Aisling Organics comes packaged in a pretty eco-friendly sustainable bag, perfect for gift-giving! As the summer comes to a close, it’s time to start thinking about repairing our skin from the damaging UV rays. 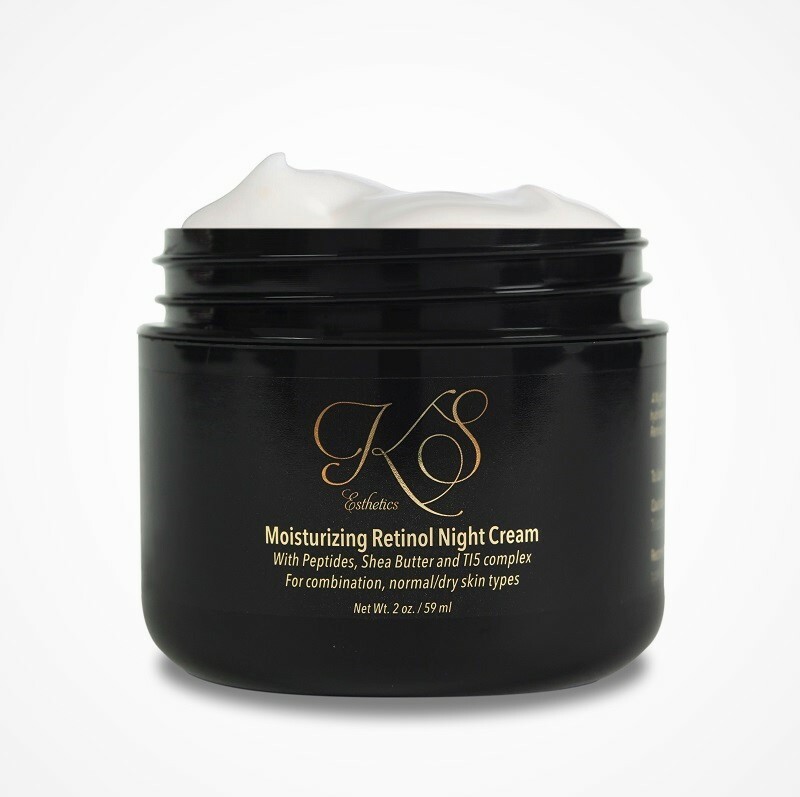 To get your skin holiday ready, I highly recommend the Moisturizing Retinol Night Cream by KS Esthetics Professional Skincare. There are so many benefits of retinol for improving skin texture, fighting blemishes, evening skin tone, and most of all for fighting wrinkles. It has long been my most favorite ingredient in anti-aging skincare. This particular night cream contains pure professional-grade retinol and was created by a licensed Esthetician with over a decade of experience helping women and men correct and prevent skin aging. This retinol night cream also contains the highest amount of professional-grade Tripeptide-5, which stimulates collagen and promotes healthy new skin. Even better, KS Esthetics infused it with TI5 complex, to help drive these ingredients deep into the skin to help fight the battle of aging while we sleep. It also has natural extracts of Lemon Oil, Lavender, Vitamin E, Shea Butter, and hyaluronic acid. I've been a big fan of lavender in skincare this year, as it helps to soothe skin and wards of bacteria and clogged pores that can cause various blemishes. When it comes to moisturizing ingredients, Vitamin E and shea butter are among my favorites. The hyaluronic acid is also a must-have in my skincare routine, as it helps to retain moisture and plumps up the skin. This night cream is such a powerhouse product full of each one of my favorite skincare ingredients! The retinol cream needs to be worn with a daily sunscreen, so I suggest pairing it with the KS Esthetics Mineral Sunscreen. It has an SPF 40 with tinted zinc oxide, providing professional-strength protection while adding a beautiful illuminating sheer tint. 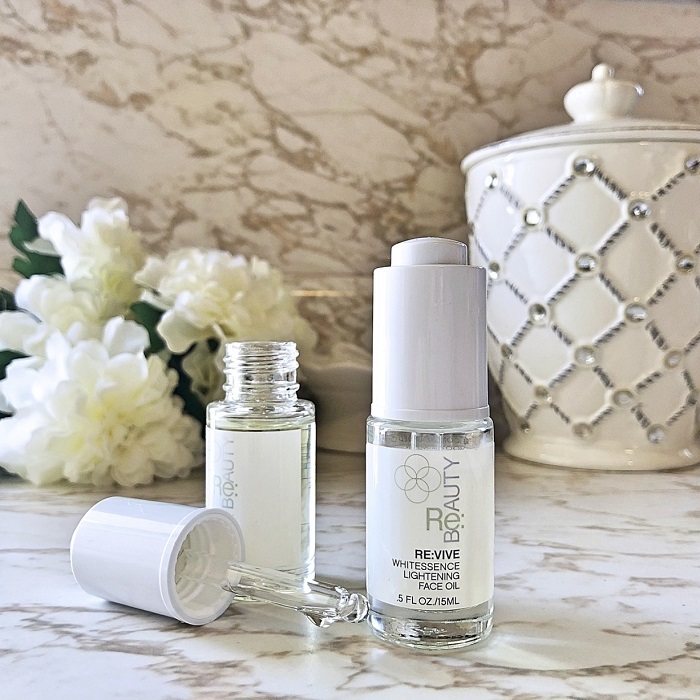 Be sure to check out all of the skincare available at KS Esthetics, because you'll want to pair these with several of their other high-quality products. They offer cleansers, serums, and scrubs for different skin types; and best of all, when you order online at KS Esthetics, you will automatically get free shipping on orders of $200 or more! I know I'd love to try the night cream paired with the Exfoliating Cream Cleanser and this Hydrating Serum, which contains hyaluronic acid and green tea. Let me know in the comments below which items you'd like to try the most. You can keep up with KS Esthetics on social via Facebook, Twitter, and Instagram. 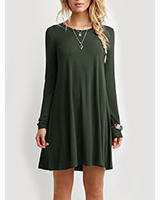 It's also time to start thinking about Fall fashion! Yay!! Sadly it won't be cold enough for tall boots and cozy sweaters for quite some time, but a great way to ease into fall trends is with more rich textures like leather. The leather earring trend became very popular with handmade brands in 2017 and has completely exploded this year. I've seen several big jewelry brands incorporate it into their collections, so you can bet this jewelry trend isn't going anywhere. As a fashion editor and small business promoter, it was exciting to see the trend trickle upwards from independent brands to the bigger brands, instead of the other way around. 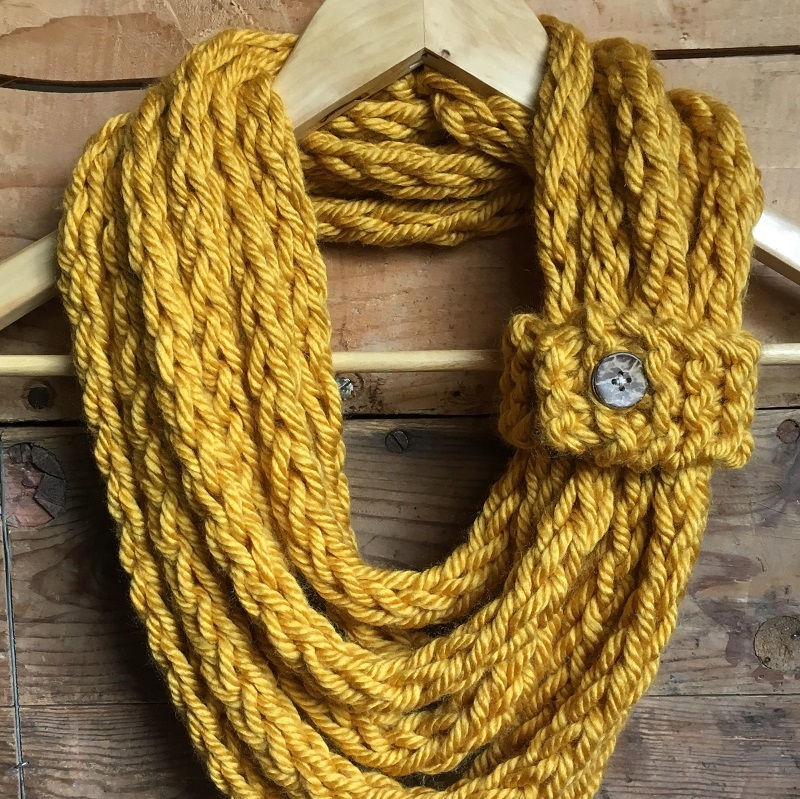 While we do love these small businesses for their unique items, I was proud to see them setting the trends in jewelry the last few years. 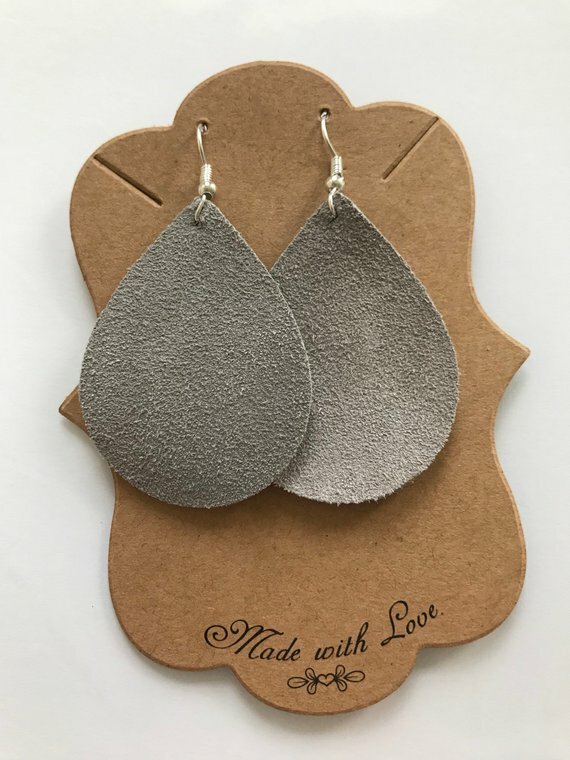 I love that the handmade leather earrings at KD Designs in particular come in so many different patterns, shapes, and colors. 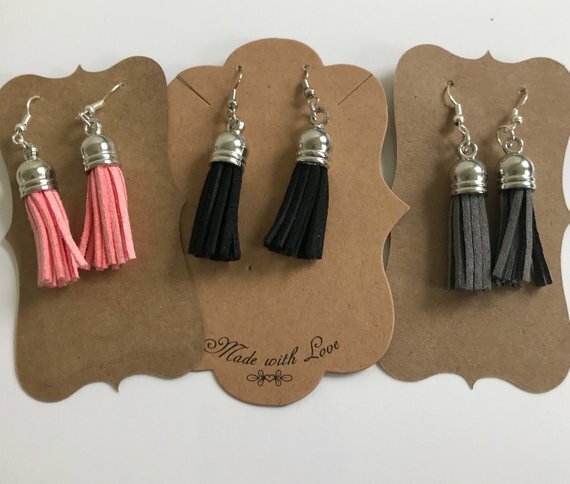 Owner and designer Kathleen creates options like a classic teardrop, a trendy tassel (pictured above), and several other shapes. I really like this modern dangle leather earring, though my top picks for fall are these grey suede leather earrings and these leopard print leather earrings. Custom designs are welcome at KD Designs Online. If you like a particular shape and don't see the color you want, or if you love one of the available patterns but would like it in a different shape, all you have to do is ask! I have one more great organic beauty brand to share with you guys today. I've made major efforts this year to switch to more natural skincare, makeup, and also haircare. At Organic Hair Care, founder Claudia Carmicheal creates a synergy between science and nature by offering safe, effective, and green beauty care. The brand ensures that harmful chemicals are kept out of their products. I appreciate this so much both because it's better for overall health, but it makes a huge impact on hair health as well. A lot of the harmful ingredients in typical hair products can unfortunately damage hair and dry out the scalp. 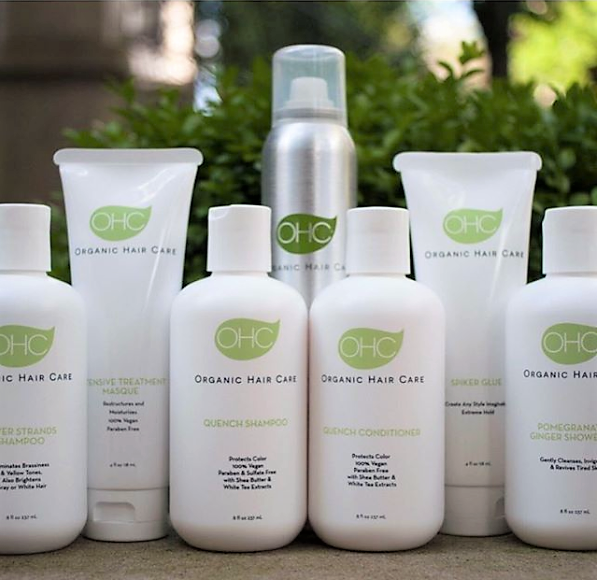 Organic Hair Care was created to make it easy for families to find safe, natural alternatives for your everyday beauty needs. They offer basic essentials like shampoo, conditioner, and body wash; and they carry a nice selection of organic hair styling products as well. Their popular Quench Shampoo and Conditioner are vegan, paraben and sulfate-free, and contain ultra-moisturizing shea butter. Aside from their incredible quality and selection, the prices at Organic Hair care are so affordable. Most individual products are priced between $10 and $20, and you can purchase their hair care products in complete gift sets. For a nice sampling, try this beautiful organic haircare Travel Pack for just over $20. It includes a shampoo, conditioner, shower gel, and their Spiker Glue long-lasting weather-proof styling product. 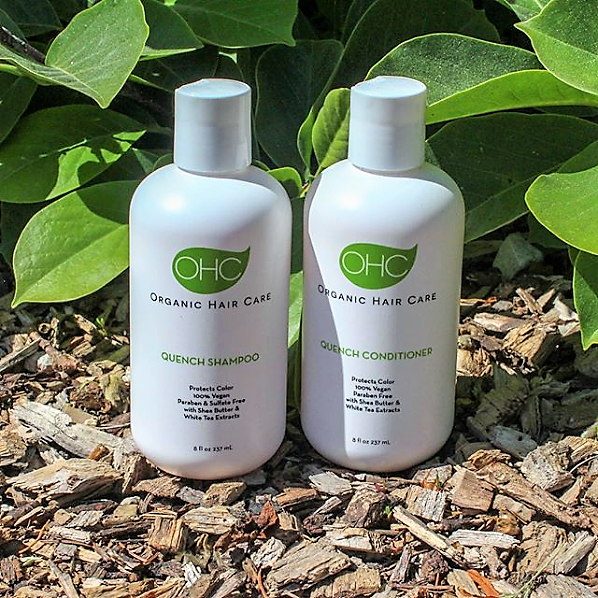 You can browse Organic Hair Care and each of today's featured products with the links below. Thanks so much for stopping by KCL Friday Finds, and thank you to the featured brands. 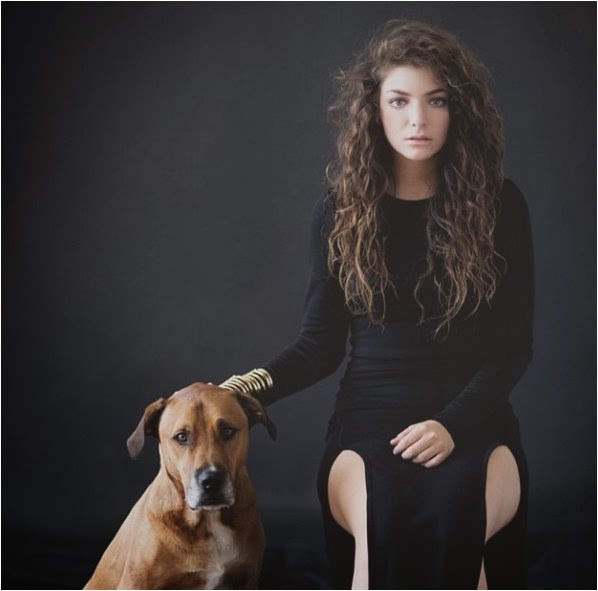 I'd love it if you could leave me a comment before you go. Have a happy weekend and happy shopping! These all look so amazing! What a great list! Great picks dear. Those are gorgeous shades of lipsticks! wow this sounds amazing. I need to check out the night cream, and those lipsticks looked so pretty.